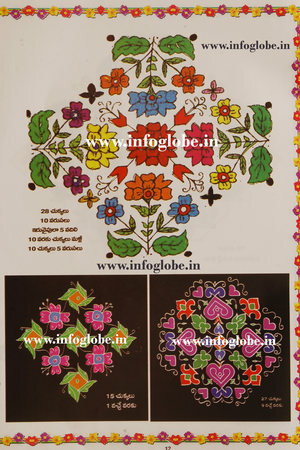 A complete collection of seven chukkala muggulu rangoli designs for the festival of sankranthi. 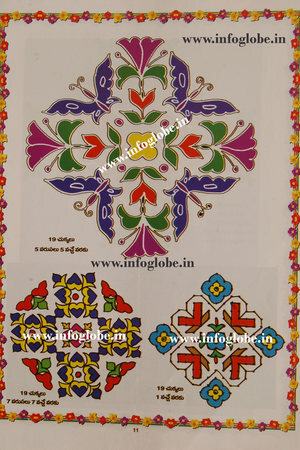 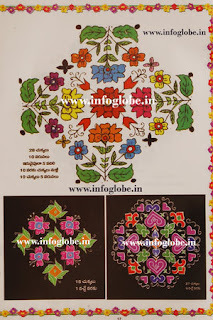 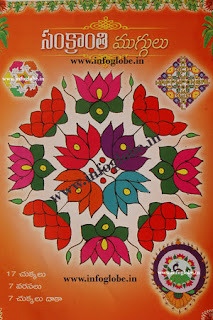 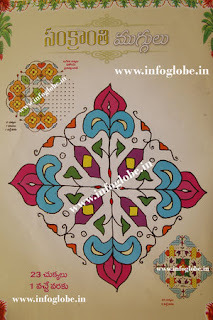 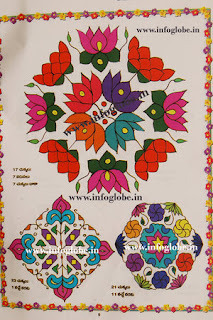 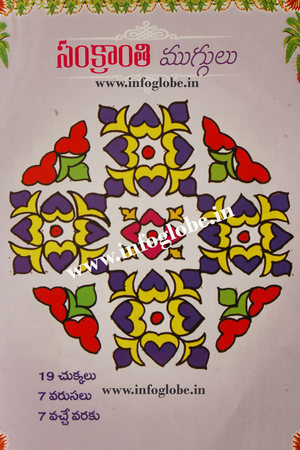 These designs are particularly drawn during the festival of Pongal which is also called the festival of Harvest. People across India celebrate it and also conduct various Sankranthi Muggulu competations(Rangoli Designs Competations).